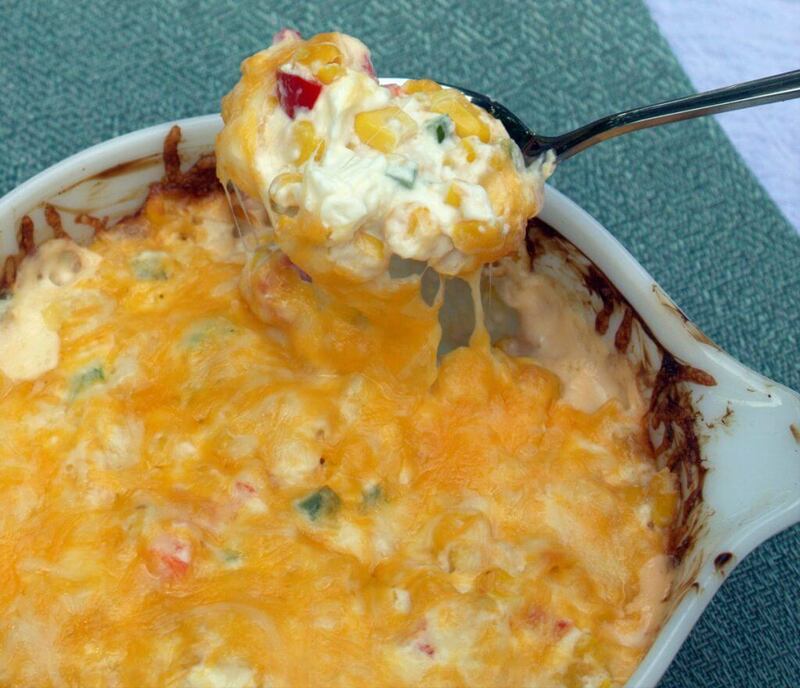 This is a simple southwestern style corn dip recipe that is addictively good, wonderfully bright, and comes together in just minutes. It’s the perfect thing to serve for an early fall get together or a potluck. 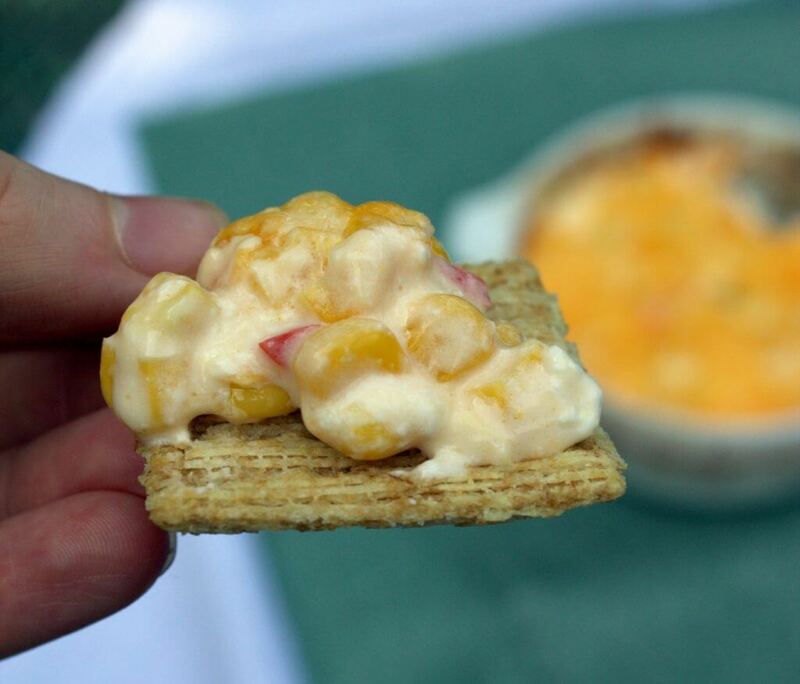 This time of year sweet corn is at its height of flavor and available everywhere, so of course we are always trying to find fun new recipes to try it with. Some of our favorite seasonal recipes that also use corn include Chamomile Corn Chowder and this Cheddar Corn Quiche. 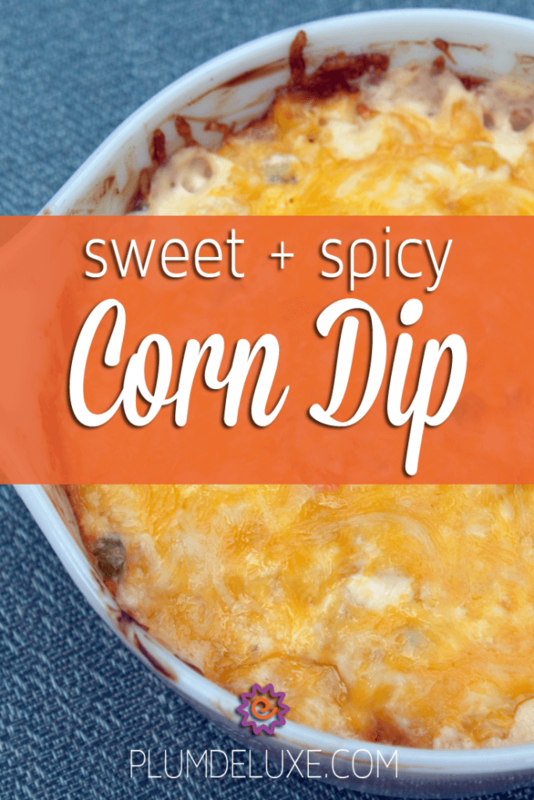 Here, we have utilized it with spicy jalapeños and melty cheese to create a trifecta of flavor and texture in an amazing dip. The combination of cream cheese and cheddar creates a creamy base that is easy to dip with crackers or tortilla chips. Meanwhile, the jalapeños and red pepper not only add a pop of color but also additional texture. Jalapeños lend the spice, while the red pepper adds additional sweetness. The fresh, natural flavor of the sweet corn is really the star of the show here and what carries this dish. Each bite feels incredibly refreshing despite the heaviness of the cheeses, which is what makes it so incredibly addictive. For this recipe we used a can of corn for simplicity, but you could just as easily use fresh or frozen corn. If you are using fresh corn try shucking it and cooking it on the grill first. A little bit of char from the grill can add a whole new dimension of flavor as well as color to the dish. Similarly you could also grill the red pepper before dicing it for this dish. Grilling both of these components will help to caramelize the natural sugars in the vegetables and make a multidimensional dish. However, this additional step isn’t necessary for a delicious and totally sharable dip. Combine cream cheese, corn, jalapenos, bell pepper, and 3/4 cup of shredded cheddar cheese in a large bowl, until well blended. Spread into a 8×8-inch baking pan and top with leftover cheese. Place in the oven. Bake for 30 to 40 minutes or until bubbly around the edges. ← What Tea is Good for You?